One of Davy's favorite things to do is go hiking. It doesn't matter what season it is, he loves to be up on the mountains. Before we got married, I loved to hike, as well. Over the years, though, I've had two kids and have become very out of shape. I've also picked up some unclaimed weight that others have left behind and claimed it as my own. It's been a while since I've hiked a BIG mountain. I've done some small ones here and there, but I've stayed away from the bigger ones and let Davy hike those on his own. Recently, I started going to Weight Watchers so that I could finally get a hold of my self-control (or lack of it.....or to get some self-control....any of those would work). I need to lose some serious weight....but I also wanted to do something that had a bigger goal attached to it. Something that would work well with the goal of losing weight. Something that would help it. I found my goal when we went hiking on Labor Day. Davy was originally going to go hiking by himself, but then thought it would be fun to spend the holiday as a family. He picked out a mountain that he thought we could all handle. Now......the kids can handle a heck of a lot more than I can. They're both wiry, lean and fast. They're also young. ;) Yes, yes, I know you can hike a mountain well into your upper years. In fact, we met a 70 year old man hiking down the mountain that put me WAY to shame! 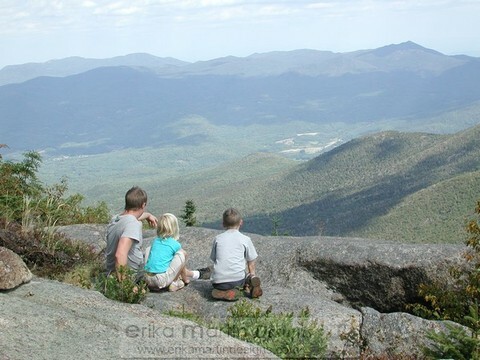 Davy picked out Cascade Mountain in the high peaks region of the Adirondacks. Cascade is 4098 feet above sea level, and it's almost 2000 feet of elevation gain. 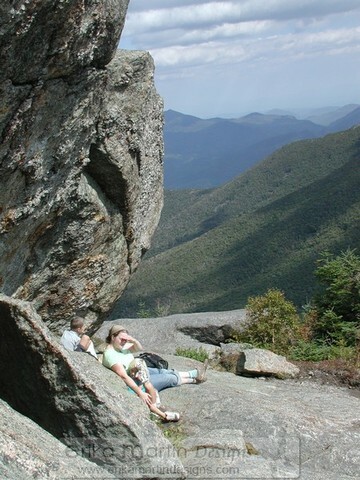 It's a 4.4 mile round trip of hiking and is considered the easiest hike of the High Peaks. We took our time and paced ourselves....though I know that Davy was just chomping at the bit to get to the top. He's actually hiked this peak a couple times before. When you get to the top, you end up sitting on a bald summit and get a full 360 degree view of the surround High Peaks region. Absolutely breathtaking and gorgeous. The top was super windy, so the kids and I were a little leery of standing on the top. After a while, though, Girly ventured up to the peak with Davy. While we were hiking to the peak, a guy was coming down with a shirt on that had a patch on it that said, "ADK 46." I asked Davy about this and he said it's a club for people that hike the 46 High Peaks of New York. Cascade is the 36th highest of the peaks. When I got to the top of the mountain, I realized that this was what my new goal would be. It worked well with losing the weight that I want to lose. It's a healthy goal and it's attainable. And talk about a beautiful goal.....hiking the most beautiful peaks in the Adirondack Park of New York. I figured that if I was going to nail a 4098 foot mountain and it was one of the 46 High Peaks, I might as well start right then and there. Since the kids went up with us, I'm going to include them, as well. So, I'll be sending in our letters to start off with our goal of being an Adirondack 46-R. (You can check out their website here: ADK 46-R). Davy has already hiked quite a few of the 46, but has never se nt in his log letters, so we're ALL going to start now. On Tuesday, I put in another 2.6 miles of walking and my goal is to continue with walking long distances a few times a week. We're planning on doing another hike this next weekend to help build up my endurance. My goal is to nail all of the 46 High Peaks in the next 5 years....by the time I hit 35 years old. It sure was nice to go for my weigh in this past week at Weight Watchers and find out that I had lost 2.6 pounds. That was a nice and pleasant surprise for all my hard work this past week. Wow, that's a great goal! Congratulations on your weightloss. Aweome! That darned eight is so easy to gain and so hard to lose! Keeping track of my daily food intake has worked for me, the journaling that holds me accoutnable is Awesome for a weight loss tool. Now I NEED the will and strong desire to work towards it myself. Goodluck on your journey to a healthier andn fitter YOU!! Walking.. trials & beautiful places in Nature. You can check it out at www.geocahing.com yo uneed a GPS and a good bug spray & your camera! Hey Erika...I've been a lurker to your blog for awhile now, and have meant to leave a comment, but just never did. 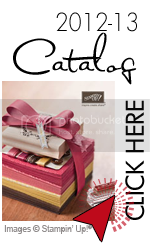 Recently you had an entry about receiving a card in a swap at an upline event right after 911 and that spurred my to write! I'm sort of a stampin up family member of yours and I was also at that meeting. I can't remember exactly if it was one of the ones that was in a school, or a hotel; I haven't been to them for a few years now. I'm actually in Karen Barber's downline. Any way, I just wanted to let you know that I look forward to your blog every day. You truly are an inspiration to me, and I especially love your personal blog. Even though I'm about 12 years older than you, I feel that I can learn so much from you about living life authentically. 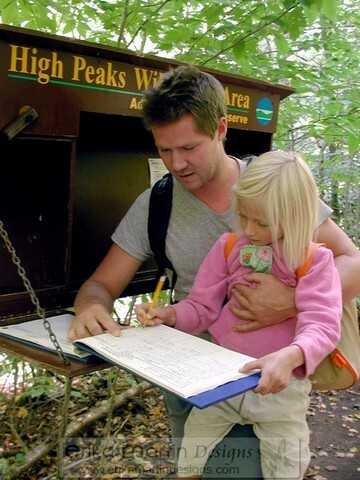 I also wanted to pass on a fun family activity -- letterboxing! It's great fun (AND it involves stamps! and hiking). You can find out more about it at www.letterboxing.org. Take Care! The pictures of your hike together as a family are all so beautiful. Looks as though you all had a great time. I too, have gained some unwelcomed weight. Only 7 pounds but I feel awful with it and it has become very difficult for me to lose. I have been eating Weight Watchers frozen foods, eating Fat free Stonyfield yogurt etc... I have lost only one pound. I walk when ever the weather is nice and I walk at least 2 miles. I am so out of shape that it is pathetic. I have found that since I started stamping I do not move as much as I used to and I tend to eat chocoalte. Bad Mary. Anyway, I wish you good luck because I know how difficult it can be to lose the weight and get healthy again. All we can do is our best. wow... erika... so beautiful pictures. congratulations on your weightloss, keep going! Reminds me of the haystack on the mountain in North Bend, Washington. I can't even remember the name of that castle of a mountain but the sunsets there are gorgeous!